Want a top of the line Van to take your Soccer Team to the Game in Waimea? When the weather is bad, you won't mind staying inside to watch the game from the comfy leather seats, just don't go to sleep and miss your child's goal. It even has a sunroof for solar lighting and that feeling of being outside. (I especially enjoy moonroofs at night!) 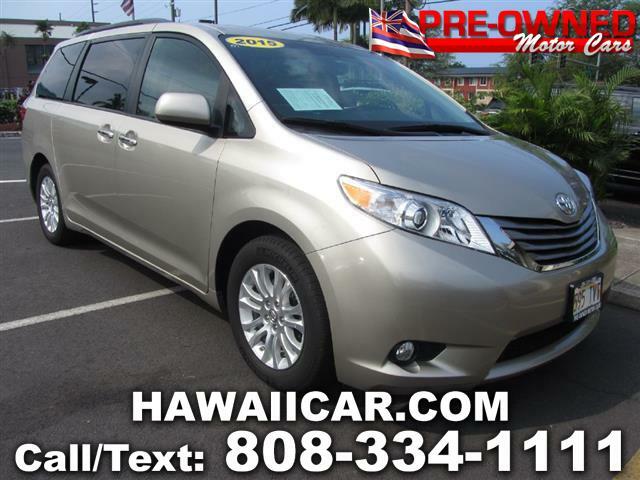 The features of this Sienna, includes Leather Seats, Moon Roof, Navigation System, Power Sliding Doors, a Bluetooth Stereo with Toyota's own Entune Audio System and Backup Camera. This van is still new in many ways, with the very low miles it has. Toyota's reliability and dependability will give you confidence while you drive down the road. Come on down to Pre-Owned Motor Cars and enjoy a no pressure test drive today!